Second highest graded copy! A startling Near Mint Plus with near-white pages, perfect edges and corners, a no-nonsense spine and exact alignment and staple placement. Really, this book has all the qualities of a 9.8 but 9.6 will just have to do. 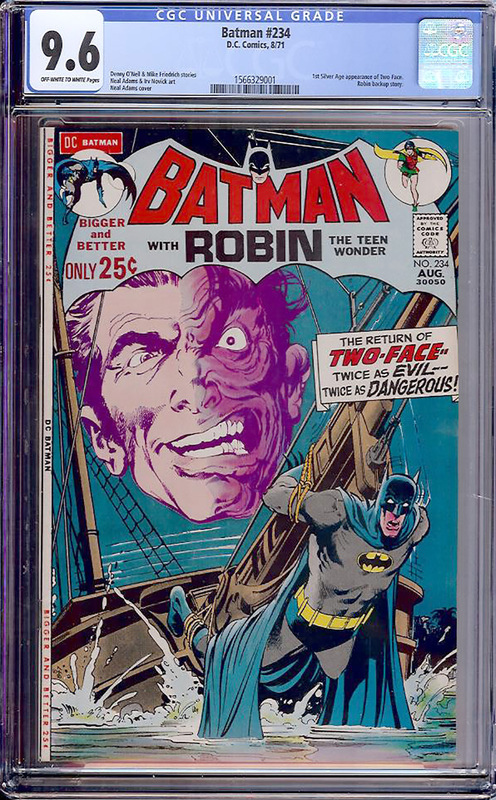 Feature's the 1st Silver Age appearance of Two-Face by Denny O'Neil and Mike Friedrich with an incredible Neal Adams cover.